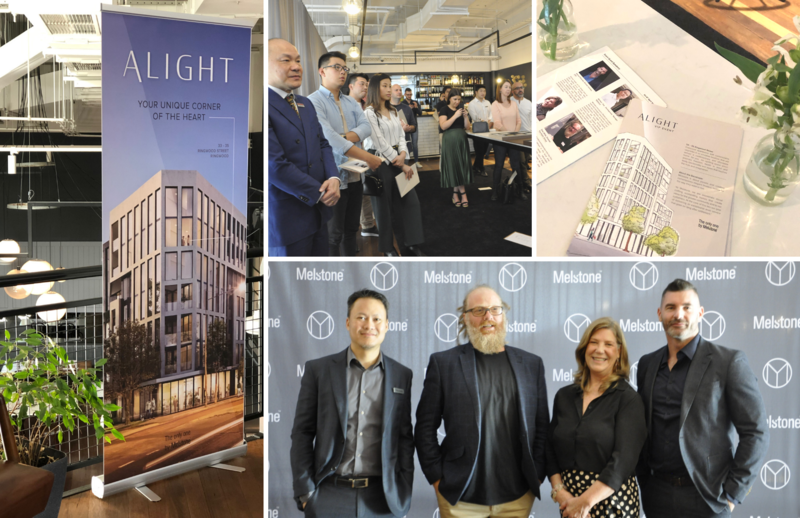 Melstone recently hosted a VIP event to celebrate the launch of their newest development, Alight. Designed by renowned architectural firm DKO, Alight comprises of 28 timeless and elegant apartments. Over six levels, (with a café/ restaurant space on the ground floor) Alight has a prime location next to Eastland. The VIP event was a full house with many young families, seniors and couples attending, all eager to learn more about Alight. Guests were highly complimentary of the level of design detail, especially the spacious floor plan, storage, clever cross ventilation and abundance of natural light. 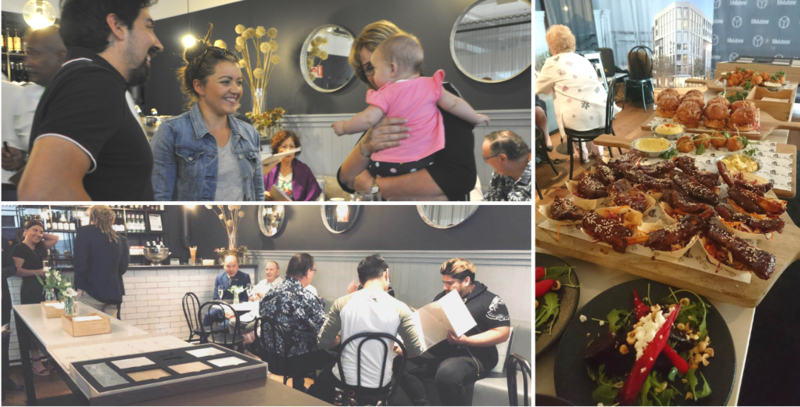 Esteemed industry experts, including Michael Drescher, Director of Interiors at DKO and Alight’s Project Manager, Michael Foo were guest speakers, along with well-known business owners, Dale White of The Public Group and Maree Howley of Beautiful Room. At the heart of our business are people and the desire to add value to the community. We continue to build our knowledge on what’s most important to our audience by receiving feedback on their home and lifestyle priorities. This ensures we are always creating homes with the end user in mind. Over the coming months will be hosting a series of workshops with local Ringwood business, including a Wellness Workshop at Reformation Pilates Studio and an Interior Design Workshop at Beautiful Room.